Hundreds of companies worldwide – from technology startups to large multinational corporations– attribute a part of their business success to their partnership with DemandGen. They represent diverse organizations and cultures—but they’re all 100% committed to getting the most out of their marketing technology investment. With help from our marketing automation consultants, you will. We act as your Eloqua Partner or Marketo Partner to drive maximum results from your marketing automation technologies. Recently, we had the opportunity to work alongside enphase® Energy’s marketing organization. 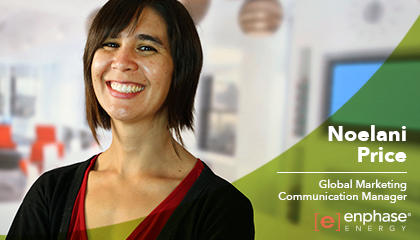 We spoke with Noelani Price, Global Marketing Communications Manager at enphase, who was more than enthusiastic about her experience working with us.